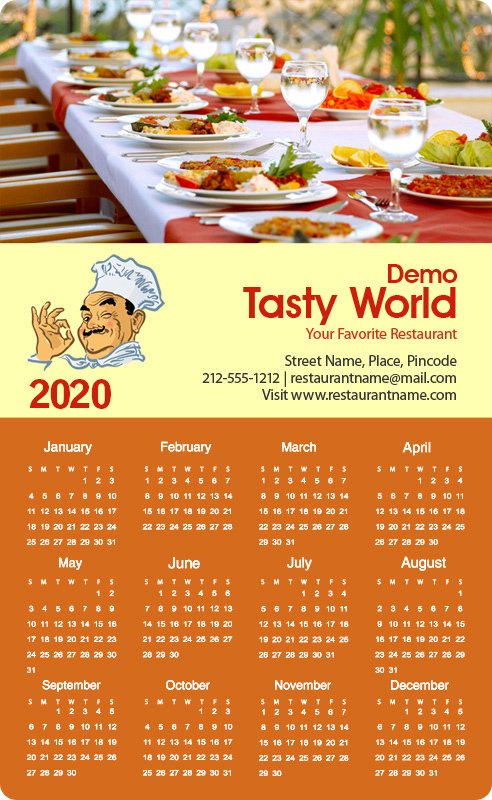 Promotional 4x6.5 square corners restaurant calendar magnets are often sought by restaurateurs, hoteliers, coffee shops, and take away inns to acknowledge their existing customers or to target a new customer base. A custom 4x6.5 square corners restaurant calendar magnet can be handed out to customers during promotional events or as an acknowledgement after seeking takeaway or as a mailer. 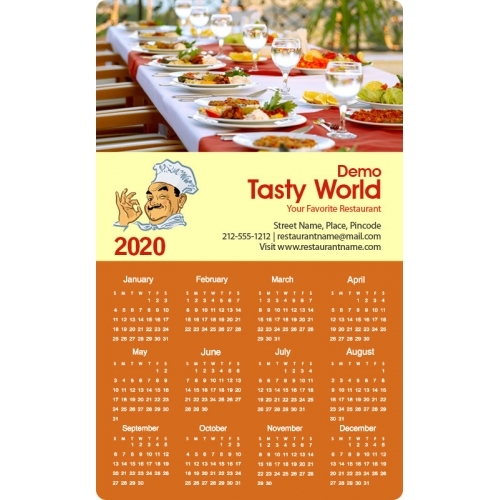 A personalized 4x6.5 square corners restaurant calendar magnet is never thrown out because they lead the appetizing way and freedom from hunger. Also, they transfix the surface wherever they are affixed. Restaurateurs are ordering this magnet in large numbers because it offers them high value against investment.